Shipping is one important factor that determines customer experience in your eCommerce store. In fact, it influences repeat purchases, as a large number of your customers won’t be shopping for you, if they find the shipping experience negative. In addition, shipping also plays a vital role in cart abandonment. How your shipping choices impact your store’s user experience and financial growth doesn’t end there. According to a study, if you provide more shipping options on your store, that itself is a good reason to increase revenue. WooCommerce shipping options are exhaustive, with core options and a variety of extensions to incorporate additional functionalities. 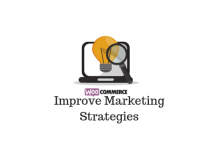 This article focuses on specific WooCommerce shipping strategies to manage the expectations of your customers. How to design a WooCommerce shipping strategy based on customer expectations? The choice of your shipping methods, the speed with which you are fulfilling orders, what additional options you have, etc should all be based on customer expectations. 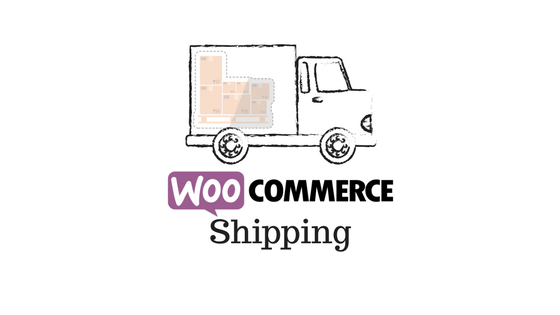 Here is a look at some of the effective WooCommerce shipping strategies you can try out on your store. The requirements of customers in an ever-changing eCommerce landscape is quite fluid. The expectations and wishlists are changing by the minute, and store owners need to adapt to it as quickly as possible. However, often in the rush of setting up a store, this factor is often ignored. Unfortunately, this is true for new business owners who have just set up a store, and even the ones with experience. Going by a default set of options and assuming things will turn out for the best can only spell disaster. It is high time you take proactive action to listen and understand the expectations of your customers. Companies like Amazon has kept the bar really high in the department of customer satisfaction. There are even stories that narrate how Amazon CEO Jeff Bezos would keep one chair empty during conferences to represent the customer. When successful companies go this extent to fulfill customer expectations, you really can’t ignore this aspect. 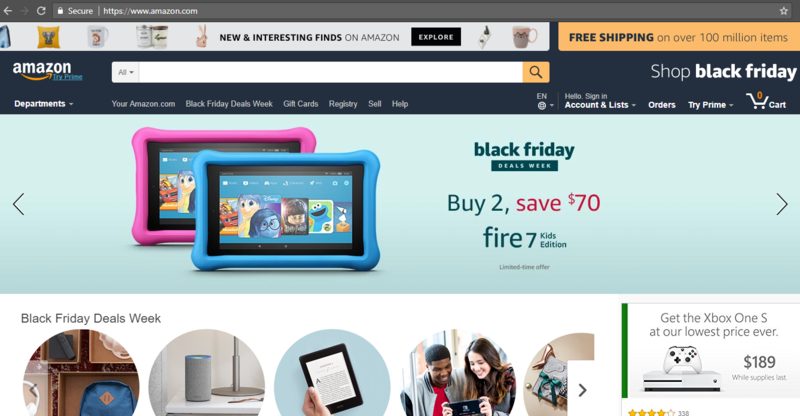 Amazon is one of the most customer-centric companies that most WooCommerce store owners can look up to for strategies. You need to set the speed of delivery of your products, taking into account the needs of your customers too. Most cases, you can assume the majority of customers would prefer a standard, inexpensive shipping option. But there will be always a set of customers who are doing some last minute shopping and expecting faster delivery options. What you offer for such customers might be the differentiating factor of your store when it comes to customer experience. It can be some urgent shopping for some household essentials or even clothes for an event they have decided to attend the last minute. Whatever be the reason, these are customers who are offering you a chance to save their day. And, in most of such scenarios, the customers won’t even be worrying about the shipping charges. So, you can easily pass on the additional costs for shipping to the customer. If you are able to manage such situations positively, these customers would remember it and would come back. You can always think of express delivery options, like this one of UPS. And, if you want to integrate such services into your WooCommerce store, here is a solution. Companies like UPS have an extensive range of shipping services catering to varied expectations of customers with regards to speed of delivery. There are many WooCommerce store owners who are selling products that require special handling while in transit. For example, medicines, perishable food items, antiques, etc need to be treated differently. Your customers need to be informed about the preparations you have made to ensure the safe delivery of such products. As long as the special requirements are obvious to you, it will be easier to manage. However, the challenge is when the request comes from the customer. How you are prepared to take special requests from customers on shipping matters a lot. One of the easier scenarios in this regard would be that of gift wrapping. But when you are dealing with products that require special attention, this won’t be the only case. You might need to provide special padding for fragile products, or ice box when handling certain temperature sensitive products. Customers may even request a change in delivery address after shipping the product. You need to proactively consider all these options and devise a strategy accordingly. However, you may not always have to display all these special services along with other options. You can display a message on the page of relevant products to contact you for special requests. Integrating custom checkout fields is another good option you can try. FedEx has a range of services suitable for special handling of products. Looking to incorporate FedEx services to your WooCommerce store? Here is a popular plugin that can help. Higher shipping rate is one of the primary reasons for cart abandonment. Almost 60% of participants in a study said they would leave a cart if the shipping costs are more than expected. This fact is motivating a lot of store owners to try out free shipping. But, free shipping can get quite tricky, if your margins are not healthy enough to handle the revenue shock. However, you may be able to do it strategically, following a few of the below guidelines. Do a thorough analysis – When considering to offer free shipping, you need to do a thorough analysis of your store revenue and conversions. See how these metrics are, with and without free shipping on your store. If there is a considerable increase in conversions, you can offer free shipping to your customers. Another great option would be to set up free shipping dynamically to customers who regularly purchase from you. Maintain a minimum order value – This is one of the strategies that is employed by most stores that offer free shipping. Increasing this value would ensure an increase in your margin in most cases. Set conditional shipping – Just like the minimum order value, you can set other conditions like free shipping on select products only, or just for a temporary period. Choosing the most inexpensive option for leading shipping carriers might help you afford free shipping. Look at the scope of increasing product prices – Sometimes, if free shipping seems like a necessity, you can consider increasing the price of your products. Though it might be a risky proposition that can affect your conversions, it’s worth a shot sometimes. You know there are a lot of specific tools available in the eCommerce market to deal with the intricacies of shipping. However, it takes a bit of careful analysis to decide on the right choice. Does the weight or dimensions of your product complicate the shipping process? If yes, you may have to invest in a plugin like this one. Similarly, are your customers majorly from international destinations? In such a scenario, your shipping tools should be able to handle the related complexities. As you have already seen, perishable products and the ones that need customization might require special handling. You need to choose a solution to support shipping after taking into account all these factors. 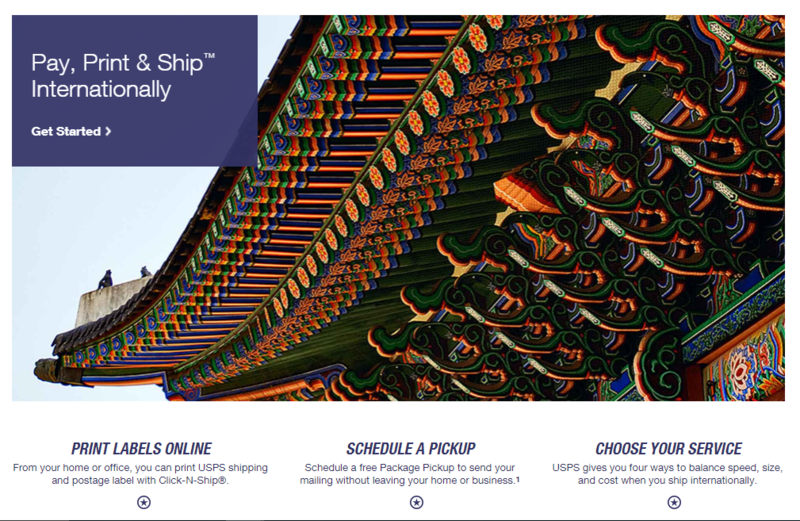 For example, USPS has a great variety of services that help you manage international shipping requirements effectively. If you are looking for a good WooCommerce extension to help with your USPS shipping, try this one out. USPS has great options to manage to ship to international destinations. 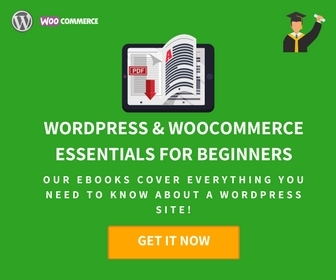 What WooCommerce offers out of the box is largely inadequate for all the complex shipping needs, and hence most store owners rely on extensions. Here is a list of useful extensions that you can rely on to set up a customer-centric WooCommerce shipping strategy. 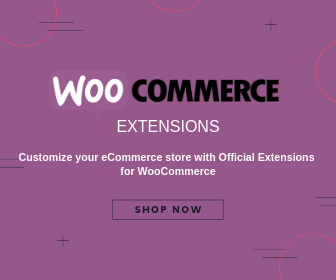 This WooCommerce extension helps to set up conditional logic to restrict shipping options, payment methods, and available locations. You can create a range of rules to accommodate your specific shipping requirement using this extension. Basically, you get to choose to activate or deactivate specific shipping options based on shipping location, package weight, order total or cart contents. You can even set to apply these restrictions only to specific products, categories or shipping classes. When there are any applicable customs or shipping carrier rules associated to a particular product, you can manage to set these easily. Similarly, when there are certain restrictions on specific products being shipped to certain countries, this extension helps you set up these restrictions. And if you are comfortable with coding, this one has options that let you add new conditions. Overall, this extension offers a great deal in terms of improving the customer experience on your store. This plugin provides you options to set up a shipping rate table based on a variety of conditions. You can combine conditions such as product weight, price, shipping destinations, class, cart items, subtotal, etc. The plugin also makes shipping based on weight much easier. You can offer a range of shipping options to customers so that they can choose based on the urgency of the order. 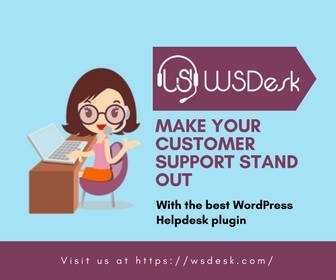 If you are also offering products that have to be picked up from the store, this plugin helps to deal with such cases seamlessly. Moreover, there are options to set a fixed shipping cost for the purchase of a single unit of product. For every subsequent addition of the product, you can add variable shipping cost. Also, the plugin offers import of shipment tracking information via a CSV file. This extension helps to define a different shipping rate for the same product based on the customer location. It offers the flexibility of being an individual shipping option or a supporting tool to add the cost to other shipping methods. You can define the line and per item costs per product or variation according to your store strategy. The extension also helps to import and export shipping rate via a CSV file. Providing delivery estimates to customers is a vital aspect of your order fulfillment strategy. Giving reliable delivery estimates to customers is really not an easy matter. It requires a seamless coordination of multiple factors of your fulfillment workflow. Naturally, you need a good tool to help you achieve this. XAdapter Delivery Date and Time Plugin would integrate smoothly into your product, cart and checkout pages. What makes it really superior is that you combine a range of rules to get the estimates. Moreover, there is a variety of options to customize the whole process such as minimum delivery time, marking working days, altering product page text, etc. The plugin also gives you the flexibility to skip particular days or include holidays while calculating the delivery estimate. It is a great option to use in conjunction with any other shipping tools that you are using in your store. You can integrate this plugin with your store to determine the estimates based on shipping zones, classes and methods. If you are using any of the popular external carrier options, you can still use this plugin to define delivery estimates. It also gives you an option to choose the preferred date and time format. There is also an option to customize the text to display the date based on a range. Shipping is one of the most vital components of an eCommerce store if you are dealing with physical products. Customers create perceptions about your store based on the range and cost of shipping options. Studies have pointed out that inflated shipping rate is one of the primary reasons for cart abandonment. Similarly, a lot of customers abandon their carts when there is no free shipping option. Emergency shoppers might be looking for a same day delivery option, and if that’s not available they might go elsewhere. And some customers would want you to accommodate special requests in packaging and delivery. All these factors can influence the way your business shapes up. You need to maintain a customer-centric perspective with your shipping strategy. Hope this article has helped you identify some of the crucial aspects of the shipping and customer experience correlation. Get in touch with us for any queries.